Revelation 20:6 Blessed and holy is the one having part in the prōtos/foremost/best resurrection. Over such the second death has no power, but they shall be priests of God and of Christ, and shall reign with Him a thousand years. 7 Now when the thousand years are expired… 11 …I saw a great white throne and the One sitting on it… 12 And I saw the dead, small and great, standing before the throne, and books were opened. … And the dead were judged… 15 And if anyone was not found having been written in the Book of Life, he was cast into the lake of fire. 14 …This is the second death. 2 Corinthians 5:1 For we know that if the earthly house [= physical body] of our tabernacle [= soul] is destroyed, we have a building from God, a house not made with hands, eternal in the heavens. 2 For in this* [soul-tabernacle] we groan, earnestly desiring to be clothed with our habitation which is from heaven, 3 if indeed having been clothed we shall not be found naked… 4 …but…that mortality may be swallowed up by life. * “This”/toutō is neuter, agreeing with verse 1ʼs tabernacle, not house. Job 19:25 …I know that my Redeemer lives, and afterward He shall arise above the dust; 26 and after my skin they have stricken off of this body, yet from my flesh I shall behold God. Because many different kinds of souls will be restored to their bodies, they will appear in all kinds of bodily garments, for each soulʼs bodily form will henceforward conform to its thoughts and deeds. Ones having had a sexually lustful nature will therefore appear exposed and naked, and be shamed. Similarly, others will appear bestial in various ways; and so on. 1 Corinthians 15:35 But some will say, “How are the dead raised up? And with what body do they come?” … 38 God gives it a body as He pleases, and to each seed its own body. 1 Corinthians 15:51 …We shall not all sleep, but we shall all be changed. 52 …at the Last Trumpet. For the trumpet will sound, and the dead will be raised incorruptible, and we [the living] shall be changed. 53 For this corruptible must put on incorruption, and this mortal put on immortality. Matthew 13:30 “…at the time of the harvest I will say to the reapers [“who are the angels,” :39], ʽFirst gather together the tares [“the sons of the Wicked One,” :38] and bind them in bundles for the intent/time to burn them, but gather the wheat [“the sons of the Kingdom,” :38] into my barn.ʼ … 43 Then the righteous will shine forth as the sun in the kingdom of their Father.” Cf. Dan. 12:3, above. Hebrews 12ʼs great heavenly gathering, which follows the mass resurrection of the dead upon Christʼs appearance in the clouds, will be the joyful privilege for “those [saints] who were ready…[when] the bridegroom came…” Matt. 25:10 However, such a heavenly gathering will not preclude some of these souls from the capacity to re-garment in flesh upon earth from time to time, just as Jesus is able to do. That capacity for earthly appearance will depend on some combination of each soulʼs calling and choice. Revelation 1:7 Behold, He [Jesus] is coming with the clouds, and every eye will see Him, even they who pierced Him. Zechariah 12:10 And I will pour on the house of David and on the inhabitants of Jerusalem the Spirit of grace and supplications; then they will intently look unto Me whom they pierced… Revelation 6:16 …the Face of Him who sits on the throne and…the Lamb. Because “every eye will see” the heavenly vision of the revelation/unveiling of the Father and Son, seemingly the only way for this to happen will be through a massive inpouring of Divine Light into “the eye single” of every soul, most likely through the pineal gland. 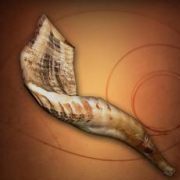 See the “Yom Kippur” section of the previous article. Revelation 20:4 …the souls of those who had been beheaded because of their witness of Jesus, and because of the word of God, who had not worshiped the Beast or his image, and had not received the mark on their foreheads or on their hands. And they lived and reigned with Christ for a thousand years. Likely the two Latter Day resurrections, pre-Wrath and post-Wrath, will commence on Tishri 15, but in different calendars. Back at the time of the Exodus, the Israelites came out of Egypt on Nisan 15, and were fully delivered from the Egyptians on Nisan 21, when they passed through the partition of the Red Sea. Presumably the dead will come out of their sleep on Tishri 15, but not be fully delivered from this corrupted world until Tishri 21, when those of the pre-Wrath resurrection will pass through the partition of the clouds of heaven. Tabernacles and Ingathering are represented by the two facing cherubim who spread their wings to meet together over the Ark, forming a canopy/tabernacle over it. In the body of man, the corresponding parts are the encompassing left and right cerebral cortices of the brain. Next: the seventh and concluding holy convocation, the Eighth-Day Solemn Assembly.